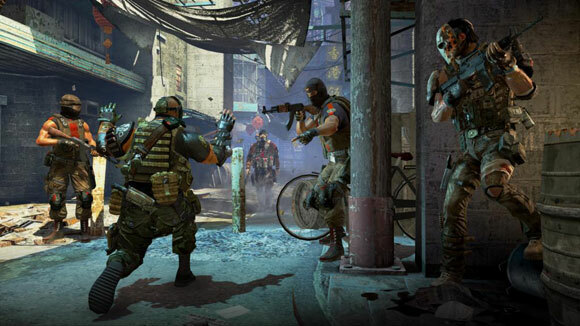 We've already heard how you can lure enemies into a trap via brutal co-op deception in Army of Two: The 40th Day -- with the addition of civilian characters comes the annoyance of a conscience...or lack thereof. Joystiq -- ever impressed by EA Montreal's co-op sequel shooter -- viewed a demo this week at E3, and came away particularly moved by the game's new morality function. In the gameworld, EA Montreal is challenging players to make choices about who their characters are and become. "You think you're just stealing a gun from someone, but what actually happens is you end up killing a guy who's just doing his job," [creative director Alex] Hutchinson elaborates. "We want that to continue to escalate throughout the game." I'm fascinated by this, really. Much like the "Bond Moments" from the classic 007 titles Agent Under Fire and Nightfire, these morality tests sound like scripted events triggered by the player's actions. This means that in your scramble to escape Shanghai as it falls apart around you, you are still expected to think about where you go and what you do, especially when there are civilians involved. It will be extremely interesting to see how honorable your co-op partner is when money, ammo, Achievements and Trophies, and your in-game character's well being are possibly at stake. Your cold, icy heart gets melted this holiday season. Page created in 0.6501 seconds.